Our culture revolves around consumption, but that’s not what life if all about! Radical homemakers are empowering everyone to change the definition of success. Can you imagine how different the world would look if we considered ourselves producers instead of consumers? For example, what would it mean to use sustainable permaculture systems to grow our food instead of pollution in our air, water, and foods? Can you imagine owning a few quality possessions instead of of dumps full of broken plastic rubbish? What about the peace of mind that comes from knowing you can support yourself and your family even through life’s up and downs? When I started urban farming, I read a life changing book called Radical Homemakers by Shannon Hayes. 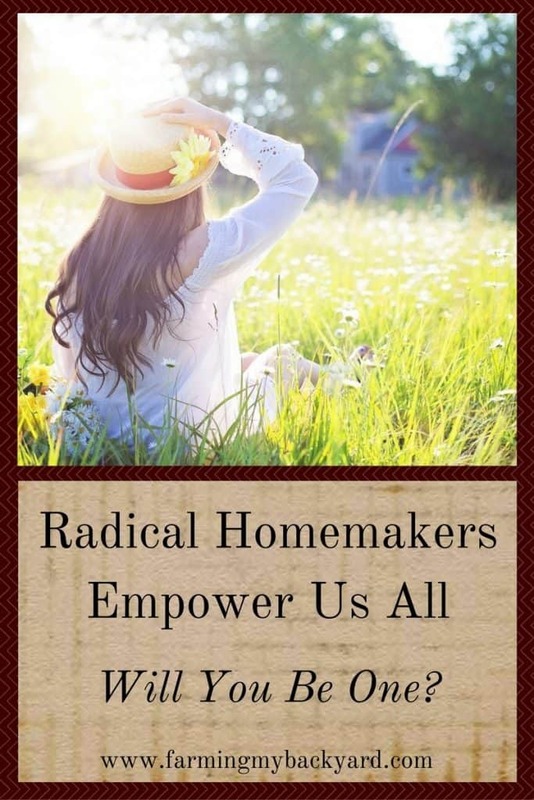 Radical Homemakers align their lives with their values. These values include their own well-being as well as community based self-reliance. So, what kinds of things do Radical Homemakers do? Shannon Hayes shared a list of ten steps to become a radical homemaker. If you hang out your laundry, cook your own foods, grow food instead of lawn, or preserve your own food, you are well on your way. Also discussed in the book is how money is a representation of value. Having money has value, but we are wealthy in so many other ways. For example, we can have a wealth of time, strong relationships, or quality foods. After basic needs are met, more wealth for the sake of having wealth is unfulfilling. It’s much more rewarding to learn skills to become more sufficient, and use those skills in your community. Historically, homemakers were crucial to the well-being of each family unit. Their work made a tremendous difference in the happiness of their homes and strength of their communities. Unfortunately, as people left the homestead and began to work in cities, homemaking became less important to daily survival. Simply cleaning a house and buying things to put in it is a shallow contribution to society. Use your skills in your home and do something that contributes to society. 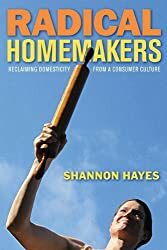 My favorite section of Radical Homemakers is the chapter on Reclaiming Domestic Skills. It’s easy enough to find tutorials on how to do specific skills. It’s more difficult to change your mindset and be happy with a counter-cultural lifestyle. If your idea of learning is someone pouring knowledge into your mind like a vessel, you will have a hard time. Many skills are learned by trial and error. What works for one person may need slightly tweaked for another. Being able to self-teach is a crucial ability to become more self reliant. Radical Homemakers cultivate community and relationships. Some people may think the ideal homesteader can be completely self-sufficient. The truth is that humans NEED other humans. We are social creatures! Strong family and community relationships are crucial to our happiness and well being. The value of our relationships is crucial to our overarching happiness. And happiness is contagious! When we have communities of happy people we can spread it to others. Many people equate freedom with financial security, but if we depend on an employer and paycheck, then how free are you really? It could be gone in an instant, and many of us have experienced that instant in gut-wrenching clarity. How much more reassuring it is to know that you hold the skills, values, and abilities within yourself to provide for your own needs. That is freedom! The exact skills you learn will vary. 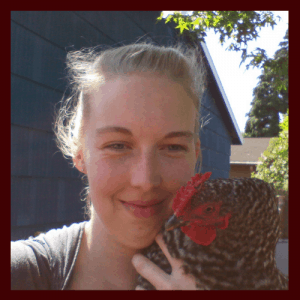 To be a Radical Homesteader means cultivating your values starting in your own home. I agree–this book is wonderful, thought-provoking, and practical. Yes! I am a radical homemaker and have been for over 15 years, homesteading in the Pacific Northwest wilderness. I love Shannon’s blog, since I agree with her values and adore her writing! Yes! Community can be so important for so many different reasons!